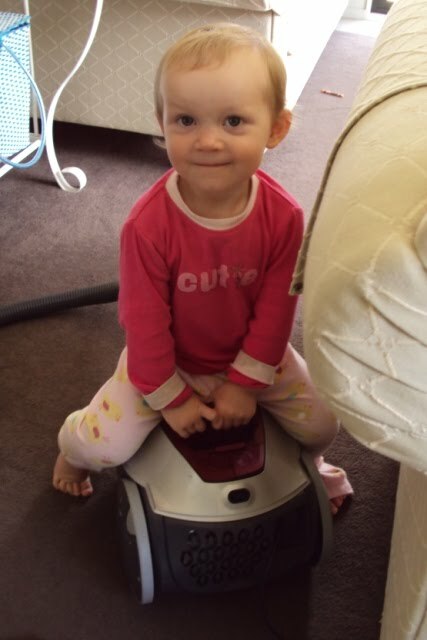 While doing some housework today, I turned around to see Holland sitting a top the vacuum, bouncing up and down saying, "horsey!" It just made me laugh out loud! That is a LOL moment for sure!! :)You will have to find a way to keep your blogs on file/disc to look back on. What a great way to scrapbook and to look back on how Holland has grown and how she has been a great cheerleader for your business;) AWESOME:)!! !